Even though our equipment is based around modular components we have the flexibility to combine elements together to make an unusual feature or original design. We manufacture all our equipment ourselves – we are not just a reseller of other people’s ranges – so we can make whatever you want. If you can imagine it we can build it ! On this page you’ll find a number of examples where we have done just that. Here is a project we did in a school playground. This was completely custom designed to incorporate a wish list of features while fitting into the specific space available. There are several towers linked by nets and bridges, plus a selection of play trail items. The wet pour was carefully designed to create an interesting look and create “paths”. 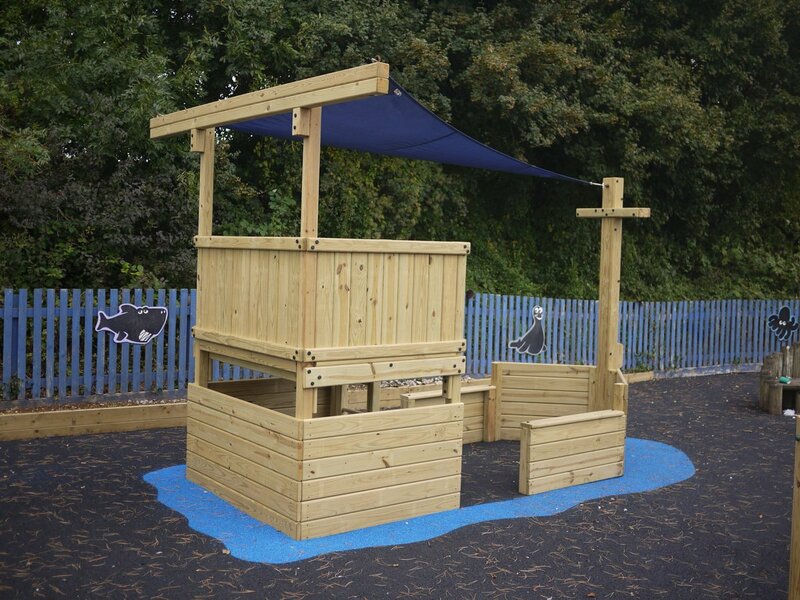 Learn more about what we can do for school playgrounds here; or have a look at another case study where we were asked to do a special design.